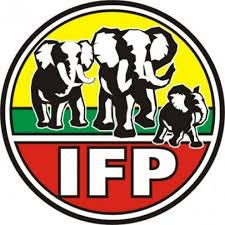 The IFP is once again calling for the police to leave no stone unturned in their search for Councillor Themba Xulu’s and Mzomuhle Bhengu’s killers. “We are extremely dismayed by attitude of the police in this matter who appear to be dragging their feet in arresting the killers. Xulu was abducted in KwaMashu in 2012 by five men who claimed to be policemen and pretended to be from Pinetown Police Station. No progress has been made in this case and until today no reward has been offered by the police for info on Xulu’s murder,” said IFP National Chairperson, Mr Blessed Gwala. “Obviously we want justice for Cllr Xulu and Mzomuhle Bhengu who were both gunned down in Jacobs Hostel in full view of the police; we want somebody charged, the right person/s charged. There are people out there who know what happened, they know who did it and we are urging them to come forward. The Police owe it to the families of the victims of these horrendous killings to complete this investigation so that that they can get closure and be able to continue with their lives.” continued Mr Gwala. “We all need to be fairly represented in every aspect of life, and policing is one of them. We have concerns about every investigation. We want police officers to be thorough and conduct proper investigations. Justice and democracy should not only be for those who are in power and those who are very close to certain leaders in government,” concluded Mr Gwala. The IFP also calls on the KZN Police Commissioner, Lieutenant General Mamonye Ngobeni to brief us on criminality within the SAPS in the province, the issuing and control of uniforms, equipment and official police regalia, as well as information regarding their pro-active approach to combatting crime within the police service and public arena in general.